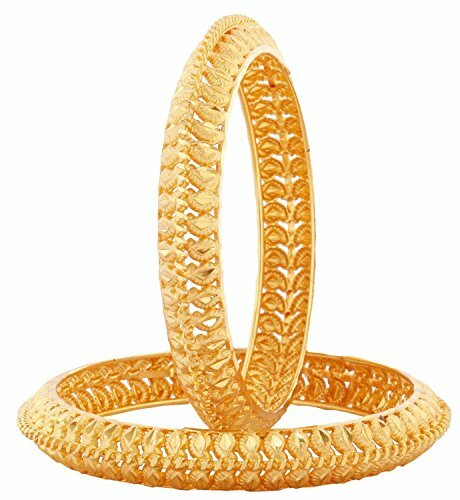 One of Best Quality One Gram Gold Plated Openable Kada. 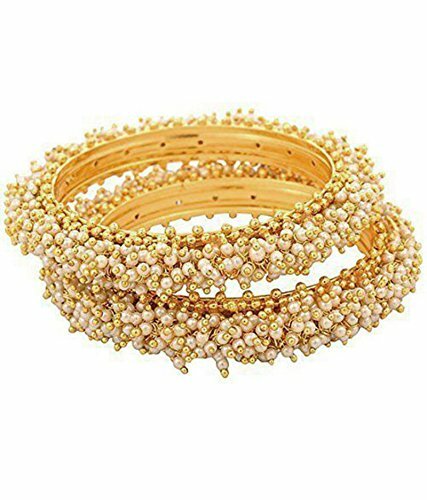 MATERIAL: Rose Gold Plated Bangles alloy material with excellent quality and Crystal Stone with white moti. 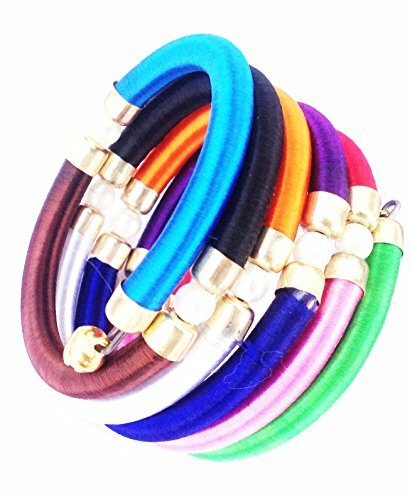 DESIGNER STYLES: Designer style bangles for both Women and Girls to enjoy! makes it excellent for those with elegant personalities! 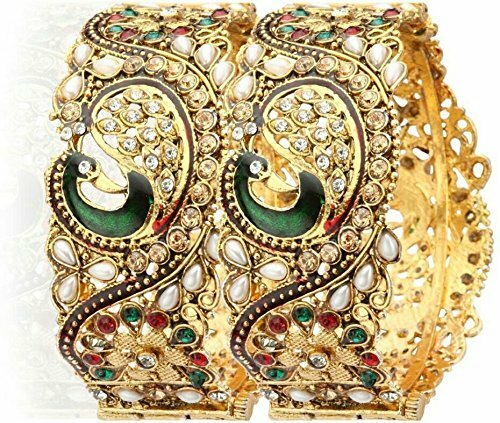 STYLISH JEWELLERY: It is high trend fashion Jewellery that will add a sparkle to your attire and look. 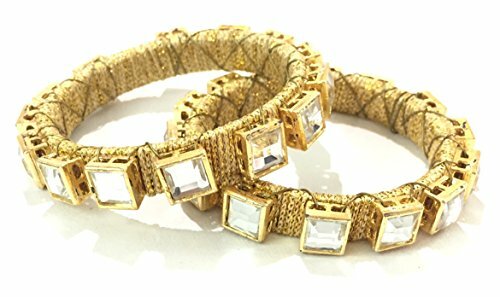 ELEGANT STYLE: Elegant style will catch your eyes; can be worn in various ways and easily adjusted to fit younger girls, gorgeous for special occasions. 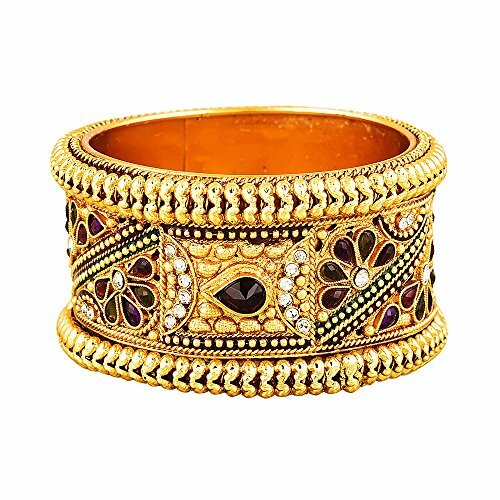 Size:- Length: 2.8 Inches, As Mentioned Above Means Indian Bangle Size Of 2.8, Having Internal Diameter Of 2.5 Inches. Kindly Refer Size Chart And Order Correctly. 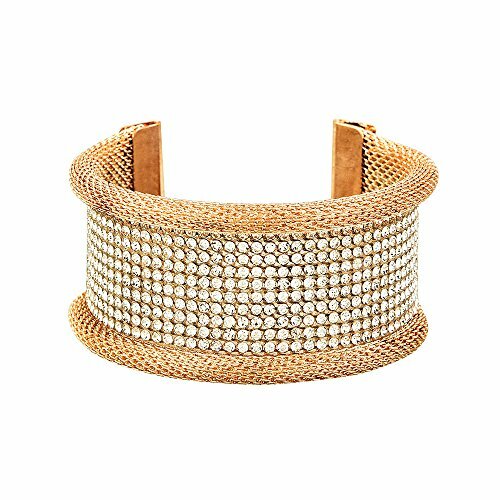 BEAUTY - Add some jazz to your party outfit by donning this bracelet that is brought to you by Shining Diva. 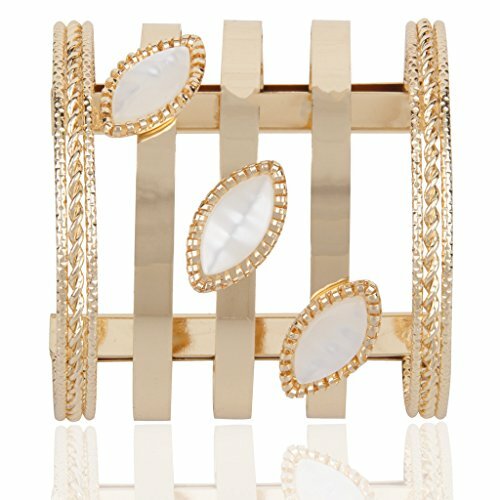 This pretty bracelet is perfect to revamp your fashion jewellery collection. Team it up with any of your western or ethnic attire when you are all set for a party. QUALITY: Made from High Quality Alloy Material. 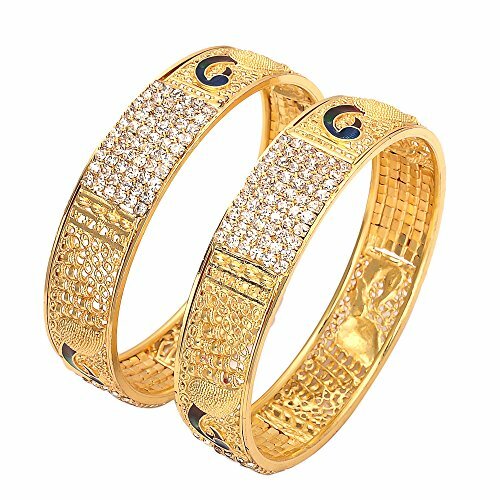 Five Layer Gold Plated For High Durability. Intricate high polish creates glamorous reflections and adds a luxurious look. 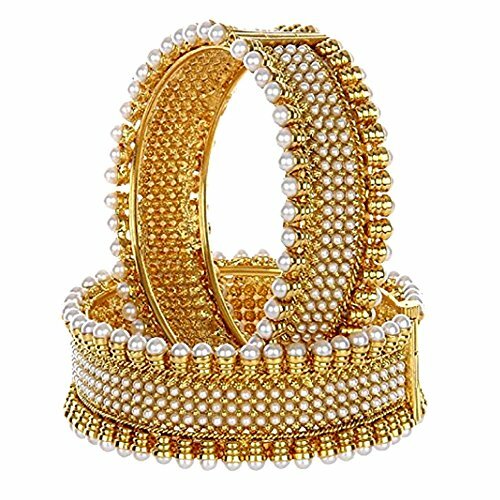 QUALITY: Made from High Quality Imported Kundan. 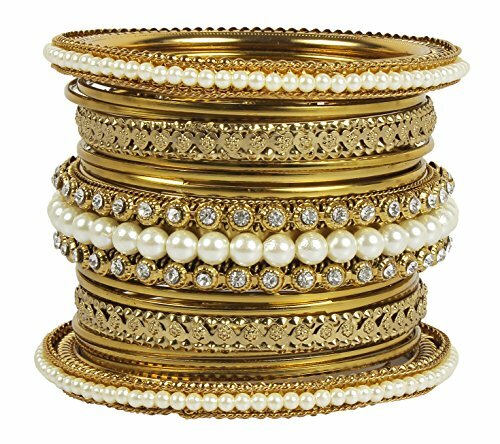 Five Layer Micro Gold Plated For High Durability. Intricate high polish creates glamorous reflections and adds a luxurious look. 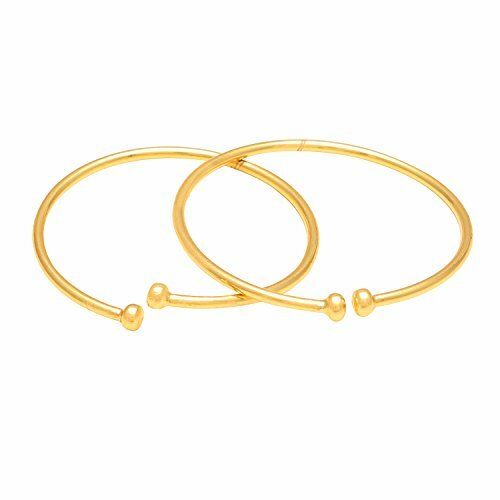 Micro Gold Plated For High Durability. 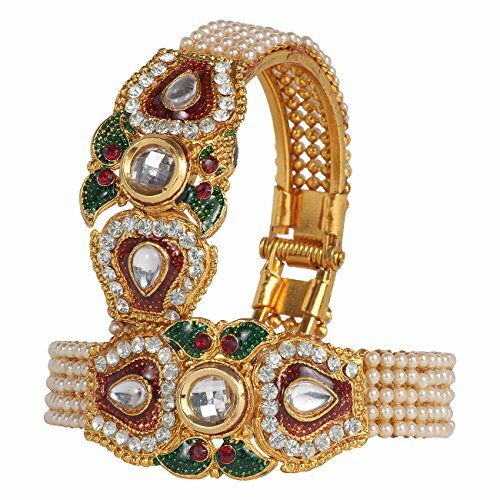 This amazing bracelet with a definite pattern having twists and waves with sparkling kundans creates infinite grace and elegance. 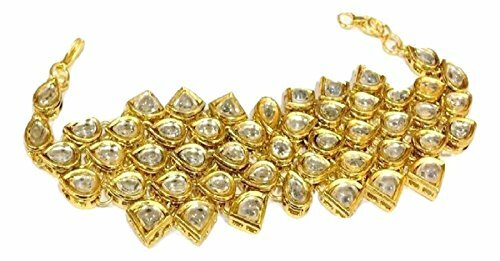 Semi Precious Designer Jewelery by Catalyst, SIZE: Free Size with 6 cm extended adjustable chain. 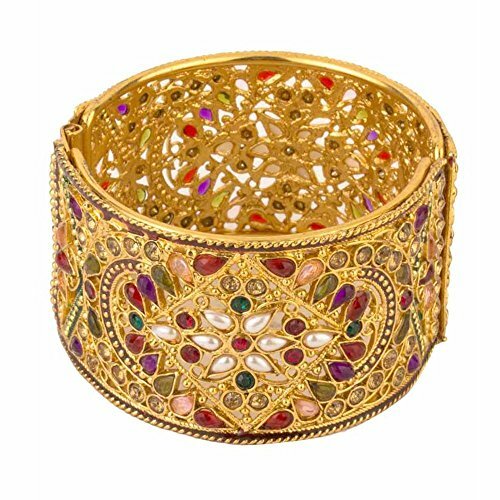 Make: Built with Highly Durable Brass, Studded with Kundan Elements in Floral Motif and Ghungroos on Either Side. 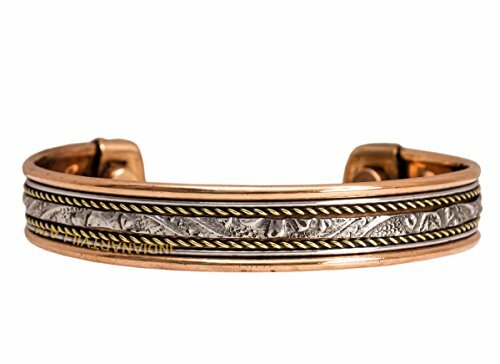 Plating: 10 micron, 18K Gold Plated in Antique or Oxidized Finish. Locking: Spring Mechanism at the side, Makes it Openable,Size suits most Wrists. 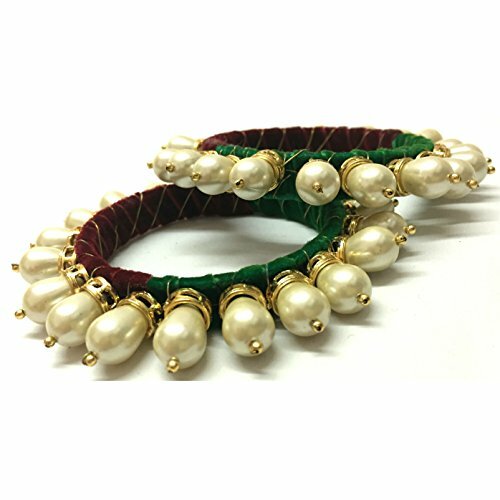 Wearability: Suitable for Festive Occassions, Goes well With Ethnic Wear. 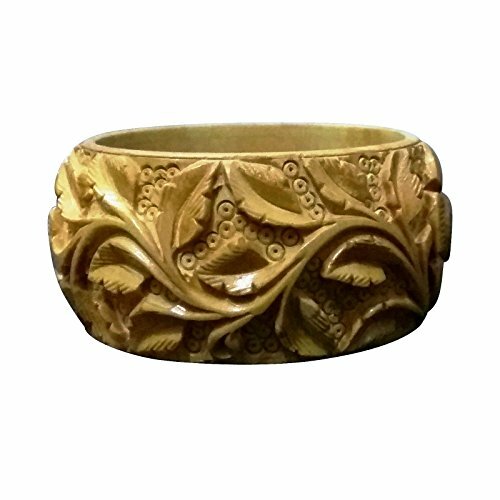 These Items Have Antique Elegant Design That Gives Addition To Your Jewellery And Accessories. 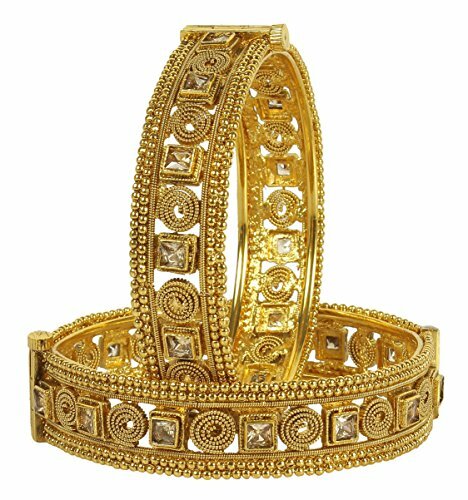 Indian Art Villa Does Not Provide Any Quality Assurance For Products Bought From Other Sellers. Sticker On Products Are For Refrence Purpose Only. 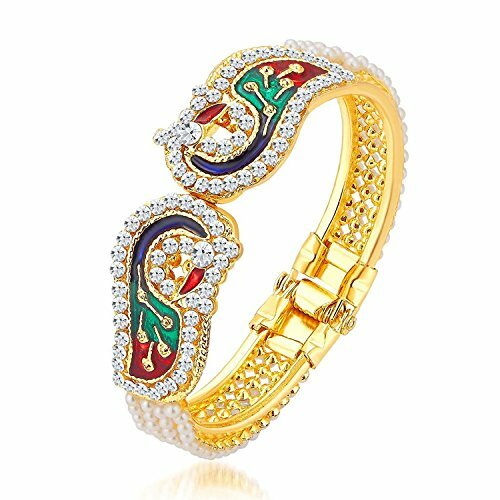 Dimensions:- Internal Diametre: 63.5 Mm Or Indian Size 2.5 Aana, Should Fit Most Wrist Sizes. Please Do Refer Size Chart, Before Placing .Width: 12 Mm. Weight: 67 Gms. 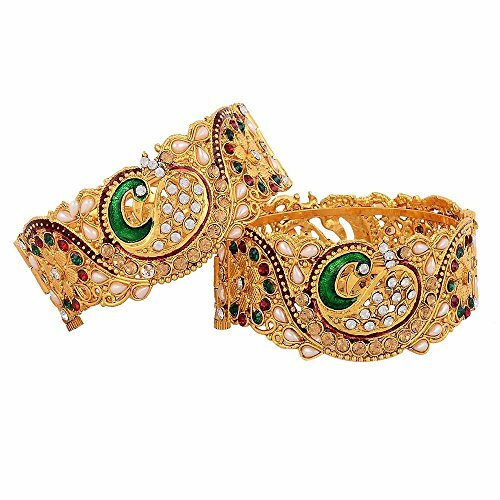 Royal Traditional Designer Gold Plated Bangles. Look stylish and flaunt your signature style by wearing these royal set of kadas by Cairo It will elevate your style quotient in no time. Made from copper, it is also rust and corrosion resistant. 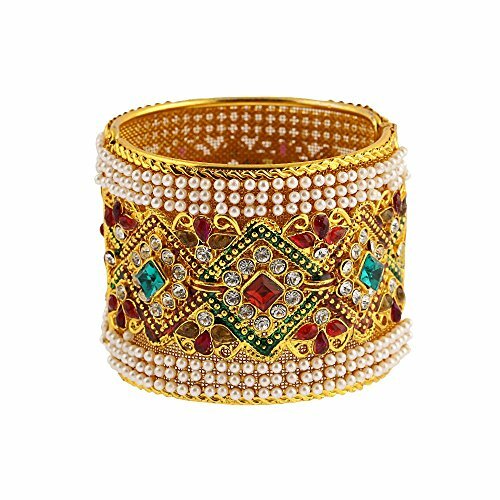 This bangle set by Leshya contains 46 bangles in total. 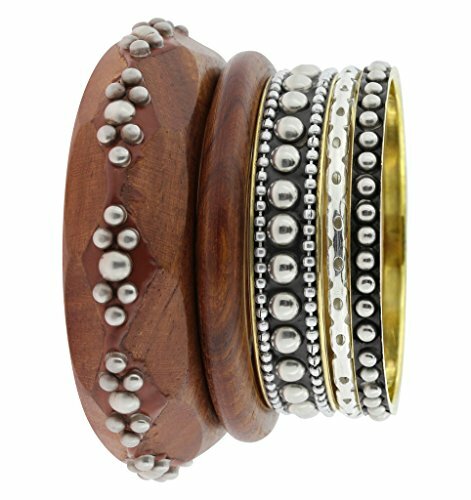 The design can be worn on both hands or the entire set can be worn on a single hand, based on the wearer. 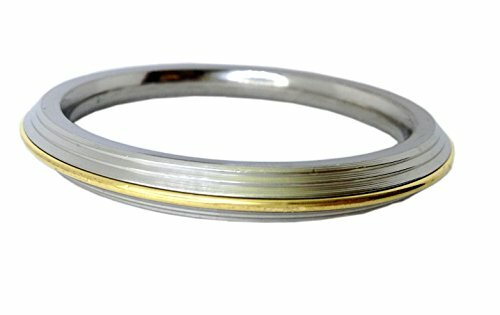 The material of the bangle is a combination of aluminium and alloy. The quality of plating is good and there is no fear of rubbing. 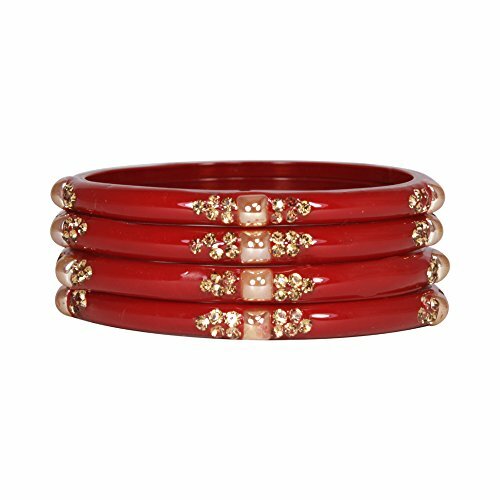 The design contains 16 aluminium bangles with permanent finish. 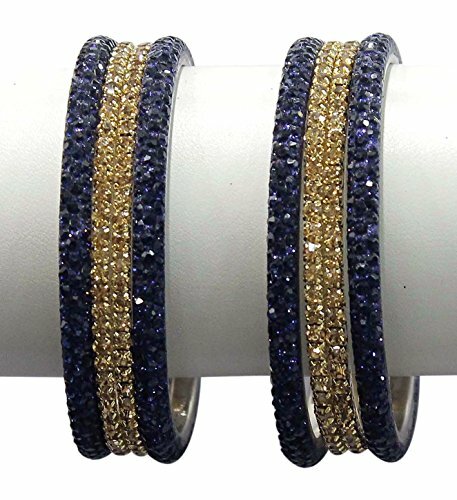 The bangles have a shining texture suitably worn with silky fabric on saree or lehengas. The colors are rich in appearance and complimentary to the color of the traditional outfit. KNOW OUR SIZE:- It is important to select a comfortable size. 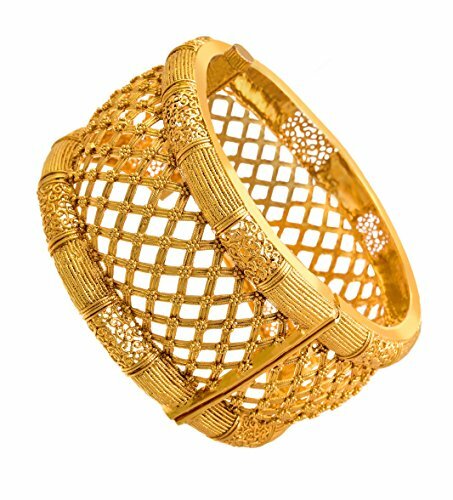 Kindly select a bangle which is not tight (requires force to put your hand through) or a big size (bangles might slip off the hand). 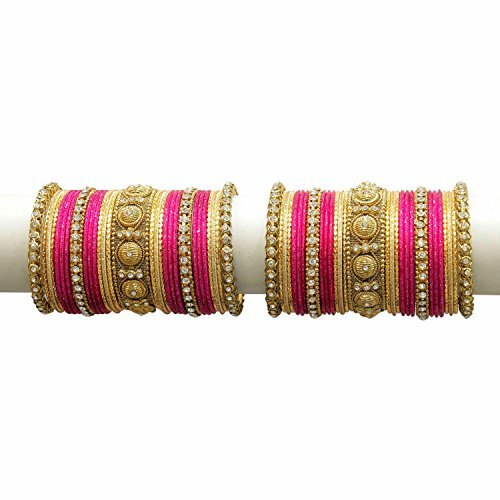 Simply take a school ruler and measure the inner diameter of the bangles in inches. Once you know the diametar, kindly order accordingly. 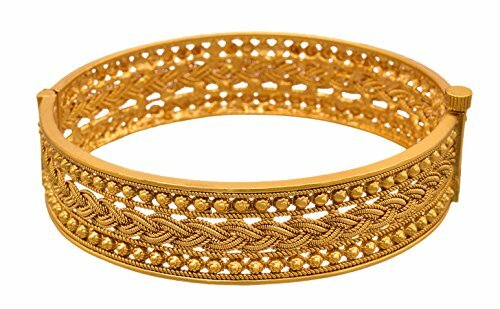 Leshya is a child brand of Jawahar Shah Kundan Lal, who are one of the oldest bangle makers in India (Estd. 1890). All products by Leshya are made by hand. Every stone is singularly placed and colors applied are of premium grade paint. All packaging by Leshya is environment friendly. There is money back guarantee on all products by Leshya. Also, we suggest you watch out for imitations as they may lead as drop in quality. 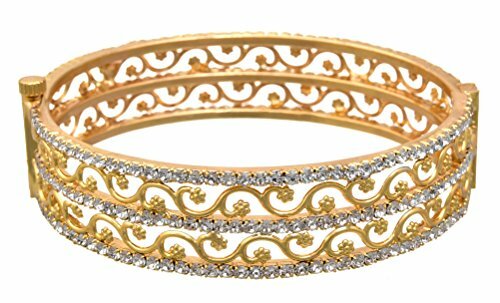 Look stylish and flaunt your signature style by wearing these royal set of Bangles by Zeneme. It will elevate your style quotient in no time. Made from copper, it is also rust and corrosion resistant. 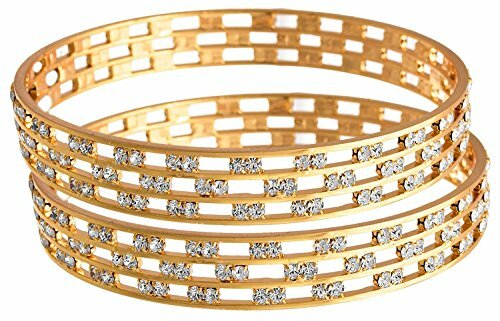 Jfl - Fusion Ethnic Three Liner Austrian Diamond One Gram Gold Plated Bangle Set Kada Perfect For All Occasions. 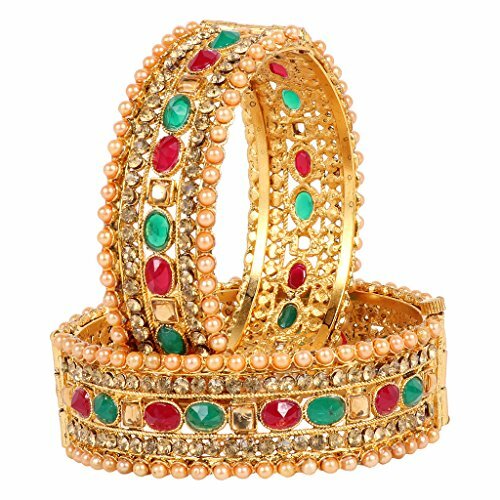 A designer fashion Bangles/Churi Set that make you feel royal. 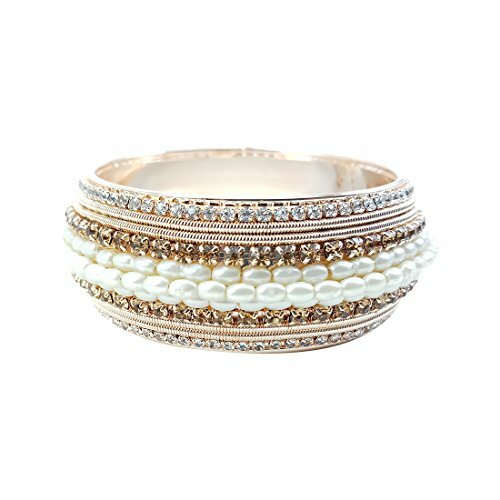 The color complement all outfits & may worn as a statement piece to any occasion. 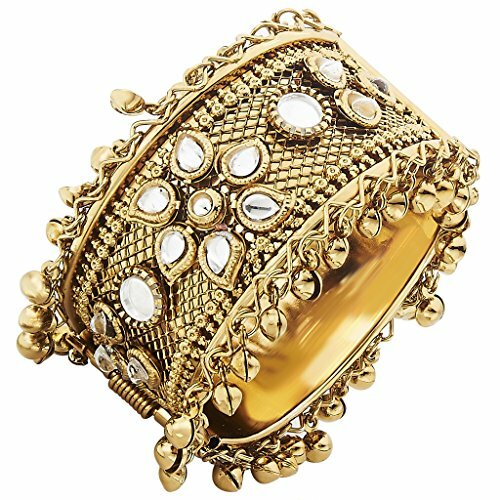 Design: Built with Highly Durable Skin Friendly ( Nickel Free) Brass, Studded with Flawless Pearls Throughout the Design. 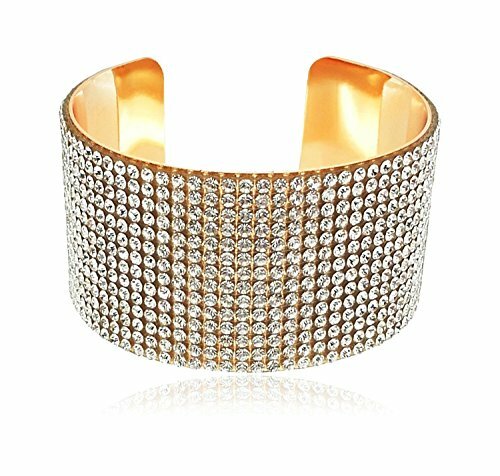 Plating: Shiny Gold Plated Bracelet. 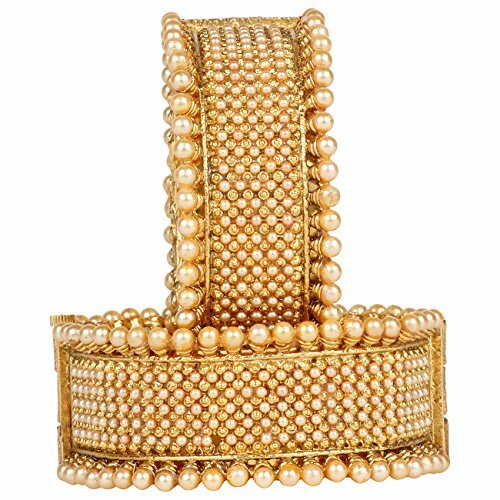 Stones & Beads: Handpicked Pearls for uniformity of colour,lustre, shape and shine. Finish: Smooth Edges to Ensure a Comfortable Wearing Experience. Dimensions:- Height: 64mm, Width: 60mm. 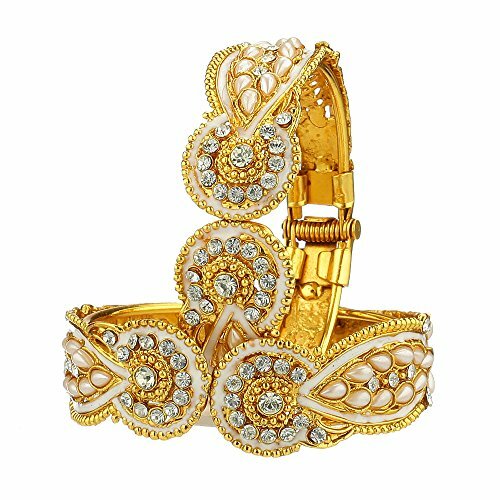 Look stylish and flaunt your signature style by wearing this Jewellery by Zeneme. 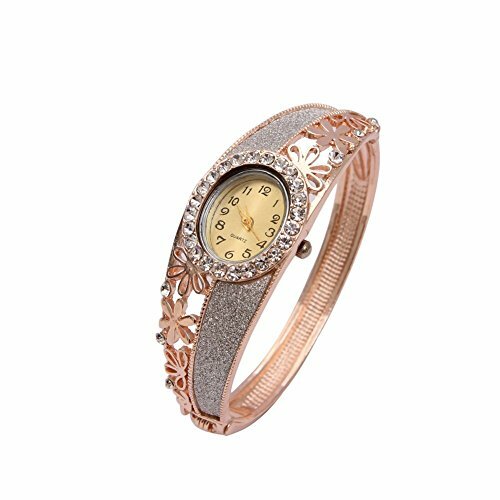 It will elevate your style quotient in no time. Made from copper, it is also rust and corrosion resistant. 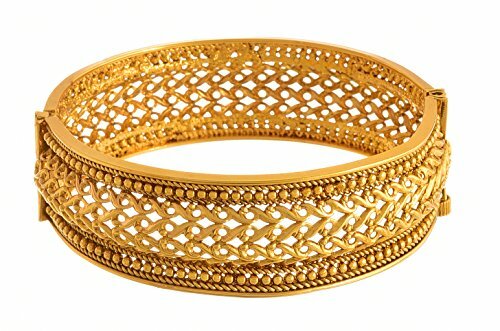 Beautiful Gold Plated Bangles Kada (size: 2.8): Looks like real Gold.